Fundamental analysis is defined as an evaluation of company’s internal and external forces to forecast the earnings, profit and loss with respect to the movement of the company’s stock price. Fundamental analysis is one of the most common tools to analyze whether one should invest in a stock or not. It’s made to deepen the financial statements of a company. Also known as quantitative analysis, it analyzes the environment to income, expenses, assets, liabilities and all other financial aspects of a company. The idea is to look at each of these aspects in order to get an idea of the possible future performance of the company. But there is more than numerical calculations when it comes to analyzing a business. The qualitative analysis is needed here, that is, to measure the intangibles of the company. When speaking of actions, fundamental analysis is a technique that tries to determine the value of the company, focusing on the factors affecting the current business of the company and its future prospects. 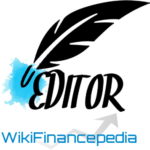 Thus, it is an analysis of the economic well-being of the financial institution as opposed to the simple movement of prices and market trends studying technical analysis. Questions like, what are the revenues of the company are? Is there really a profit? Is the company in a strong position to, for example, beat its competitors or able to pay its debts? All these questions are those that try to answer fundamental analysis. Of course, these questions are difficult to answer and there are literally hundreds of others that we can raise concerning the situation of a company. Actually, in the end, it all boils down to one question: the company’s shares are a good investment? Fundamental analysis of a company is done to predict the future growth of a business. There are various method used to analyze the price moment across financial markets. Ways or methods used to predict the future price may also differ from person to person. For example: Individual may prefer Fundamental analysis of stocks based on financial statements whereas for Fundamental analysis of forex individual may consider various ratios for evaluation. For fundamental analysis of Indian stocks individual may use some other analysis strategies. 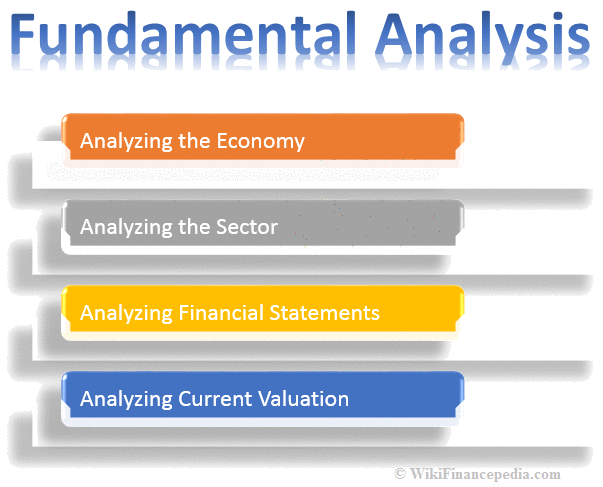 The types of fundamental analysis are divided into two categories: qualitative and quantitative. The first is based on the quality of something. The second is able to be measured or expressed in numerical terms. In the context of trading, quantitative fundamentals are numerical and measurable characteristics of a business. The major source of quantitative data is extracted from the financial statements, which can be measured income, profits, assets, etc. with great precision. As for the qualitative fundamentals, these are the less substantial reasons surrounding a business, as could be the quality of the members of the board, its patents, brand recognition or proprietary technology. So we value the fundamental analysis as a key tool in which the overview and detailed view of each of the sections of the company alternate. Fundamental analysis can allow us to have a long-term view of the business performance of the company. From the point of view of fundamental analysis, decisions on monetary policy, conducted by the monetary authorities, also are of great importance. The interest rates established by them, monetary intervention or open market operations also influence the currency market situation and are subject to direct comments from financial analysts. The rate of reaction to the publication of data and the emergence of the phenomenon called discount future information is a fact of the market. The investor needs to make a decision whether the data or predicted future events that have already been taken into account by the market, prices or not. The publication of data expected by everyone will not have a great impact on the market as the insurance has been priced into the exchange rate. The information will leave a greater impact when it’s expected the least or not known by everyone.